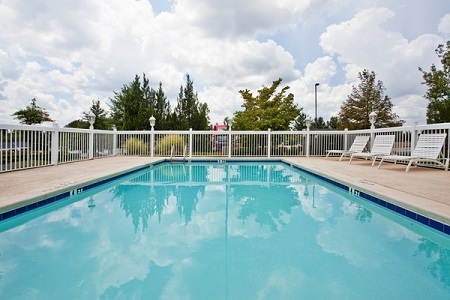 Stay near I-185 at the Country Inn & Suites® by Radisson, Columbus, GA to experience comfortable hotel rooms close to Columbus State University (CSU) and Fort Benning. 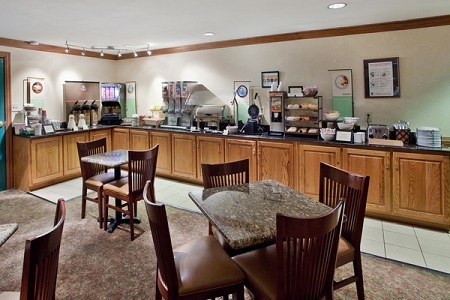 Your family can enjoy a hearty meal of waffles, omelets and sausage without leaving the hotel, thanks to our free, hot breakfast. If you’re visiting loved ones at the university or military base, take advantage of our free high-speed Internet access to post pictures of your group outing. Pair your biscuits and gravy with bacon or sausage at our free, hot breakfast. If you prefer lighter fare, select a Danish, a piece of fruit or a cup of yogurt to enjoy with coffee or juice. 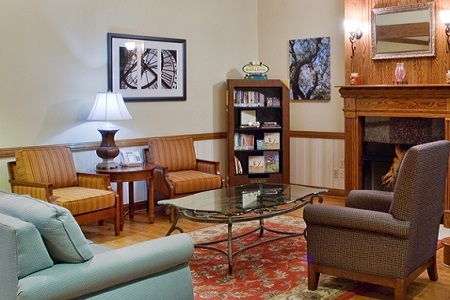 Our hotel lies near a variety of local Columbus restaurants. Sample barbecued pork and corn on the cob at Country’s Barbecue North, or drive to Buckhead Steak & Wine for an elegant night out. Columbus State University – Drive seven minutes south of the hotel to Columbus State University to cheer for the Cougars at a sporting event or take a campus tour. You can also visit the scenic RiverPark Campus on the banks of the Chattahoochee River. National Infantry Museum & Soldier Center – Experience one of the world’s largest collections of military artifacts at this museum, located at the Fort Benning base about 14 miles south of our hotel. You can see more than 70,000 items spanning 240 years of military history. Coca-Cola Space Science Center – Catch a show at the planetarium, go on a simulated space mission and explore the hands-on exhibits at this educational center. You only have to drive 15 minutes to discover the wonders of space. 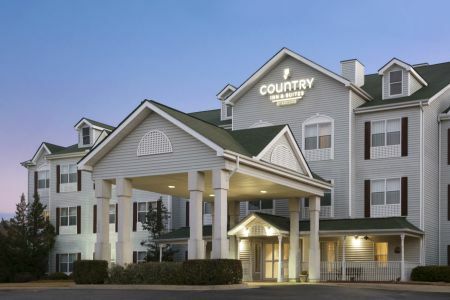 Situated off I-185 and only four and a half miles from Columbus Airport (CSG), our hotel provides a convenient location for your event or reception of up to 35 guests. 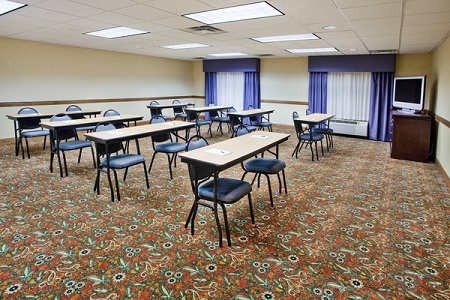 Meeting amenities include free high-speed Internet access and audiovisual equipment. Plus, your guests will be close to shopping and restaurants. Please note: This hotel does not permit pets.